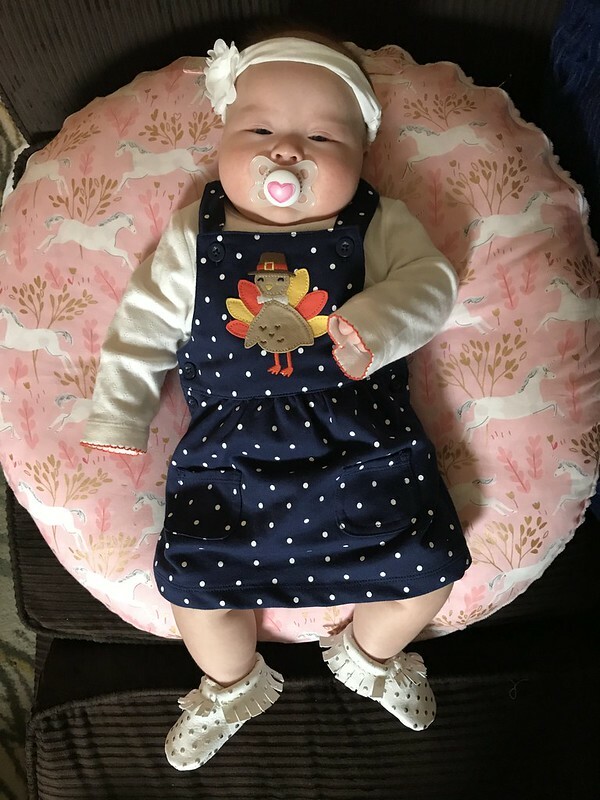 As the title of this post says, Happy Thanksgiving Week, friends! As a special Thanksgiving treat, this little turkey decided to sleep for almost SIX (!!) hours straight IN HER CRIB last night, so I feel like a brand new woman! 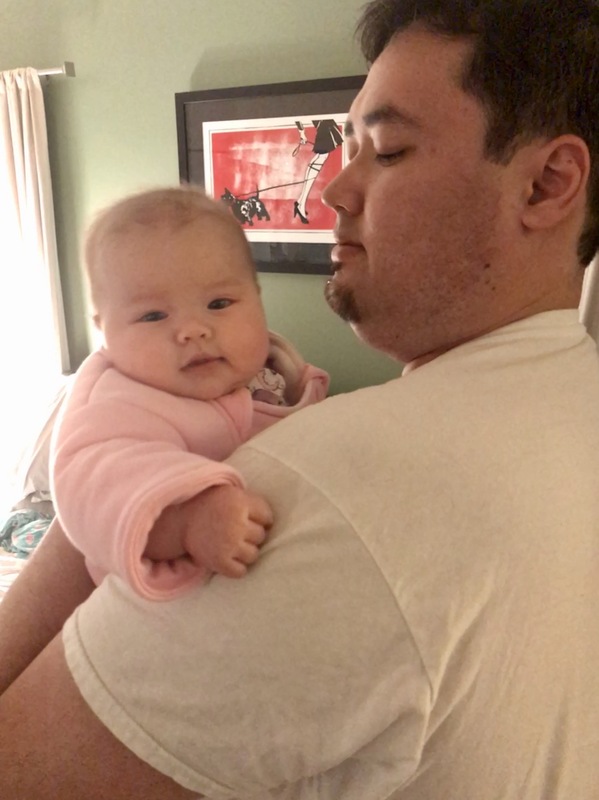 Last we spoke, I was regaling you with tales of sleeplessness and wanting to continue getting Penny used to her crib. 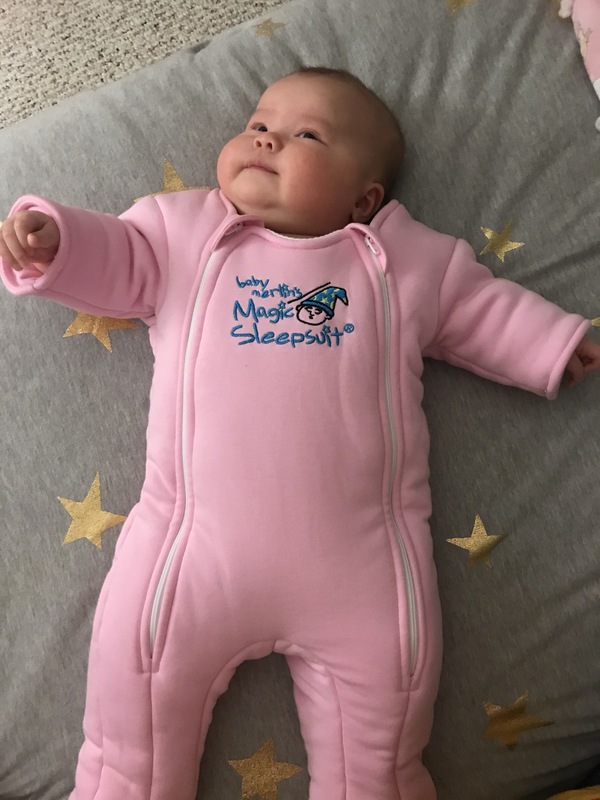 And so, in desperation, I ordered the Baby Merlin Magic Sleep Suit on Amazon and while this thing may make her look like an actual human marshmallow, dang, does it work! I’ll definitely review it in more detail soon, but so far I am extremely happy with having purchased this baby snowsuit. 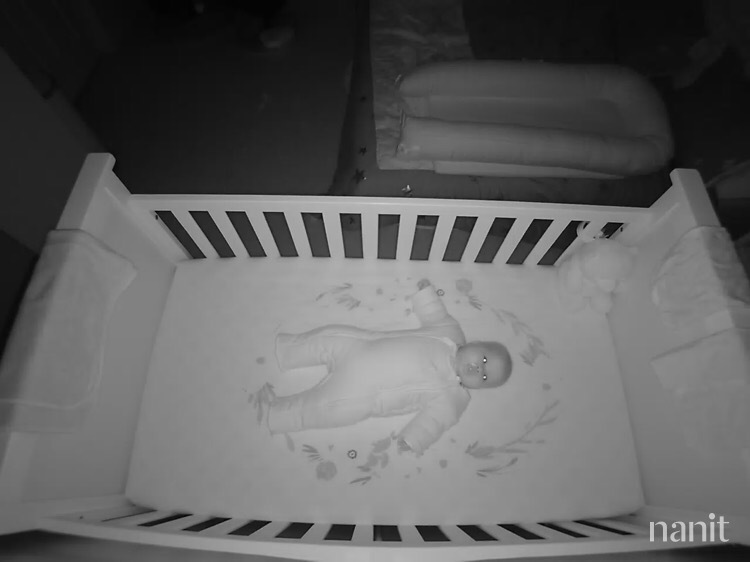 Penny’s slept in her crib for four nights now, and is sleeping for increasingly long stretches of time. Last night’s six hours was certainly a record… praise be! Anyway, all of this great sleeping and almost getting her on an actual bedtime schedule comes just in time to wreck it completely by traveling, hehe. 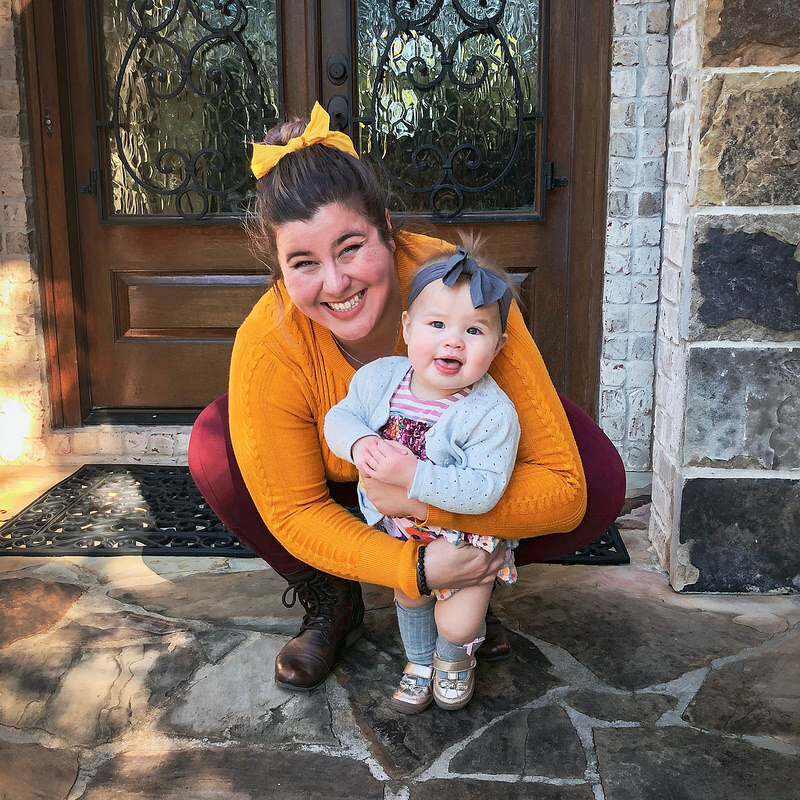 Sean, Penny, and I are doing up Turkey Day with the Fox Family in Texas this year, and we’re so excited! 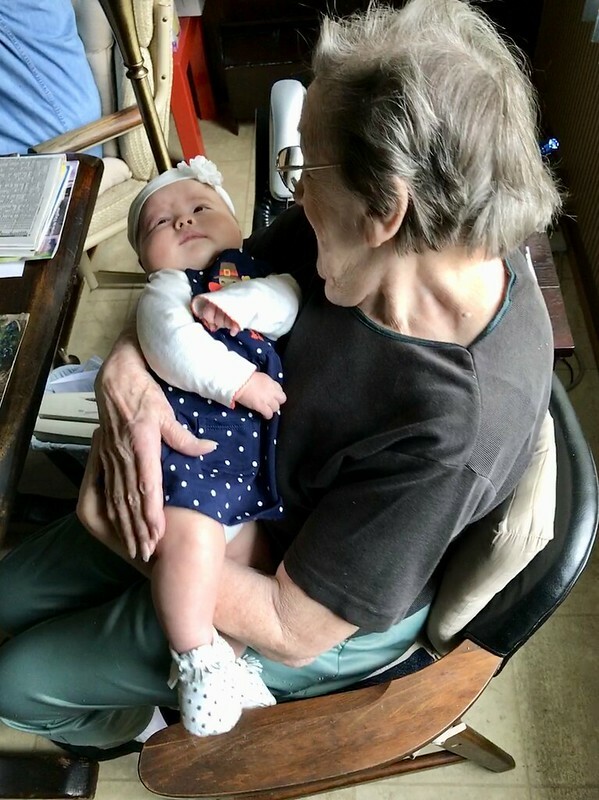 Having already flown with Penny once, it’s nice not to be worried about the trip itself, and it’s going to be so great to introduce Penny to so many members of her family, including her great-grandmother! Sean’s mom prepared a huge Thanksgiving lunch for the occasion, so I got to stuff my gullet full of turkey, stuffing, green bean casserole, potatoes au gratin, and cranberry sauce. I loooooove Thanksgiving food, so I was a veeeeeery happy camper. And I’m even more excited now to repeat the culinary experience on actual Thanksgiving, hehe. 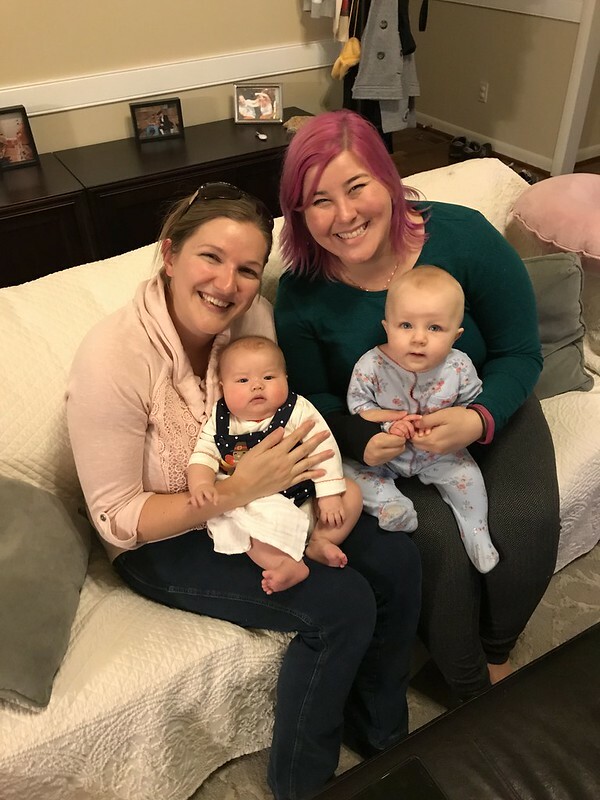 My college bestie, Bethany, also lives in Williamsburg with her hubby and their littles, so we stopped in to see them as well and did some baby swappin’ hehe. The family fun didn’t stop with that, of course, since I convinced my brother and sister-in-law to come out and take some family photos of us the next day, hehe. 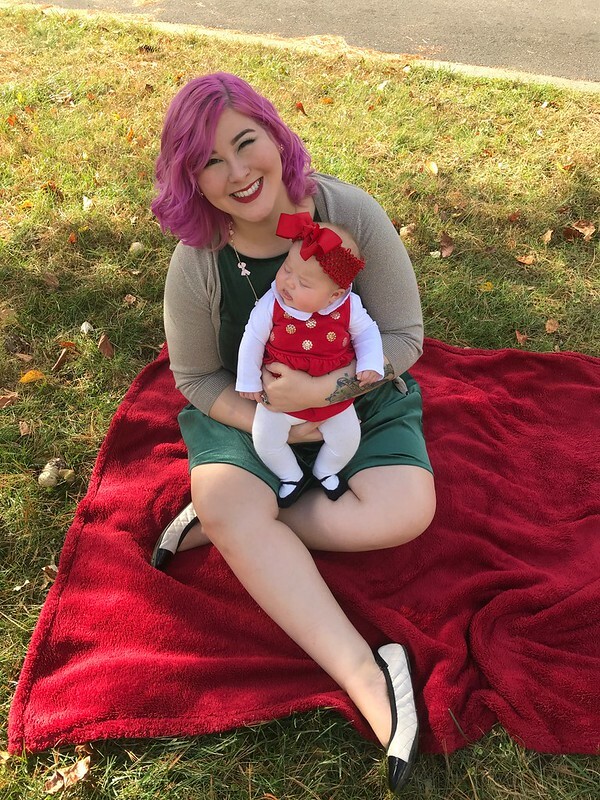 I definitely learned a lot about what to do and not to do when it comes to taking professional photos with an infant, lol, but despite the windy weather and the fact that I woke her up from her nap for it, I’m confident we got at least a couple of good shots! 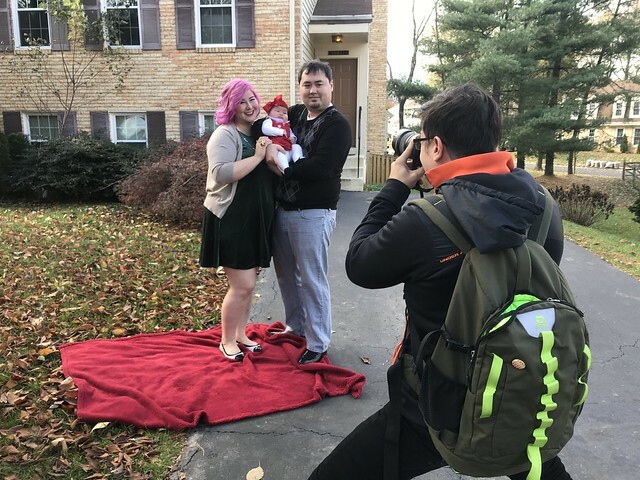 I’m so excited to get the photos back and put together our holiday card this year, since we have an especially wonderful reason to celebrate the season! 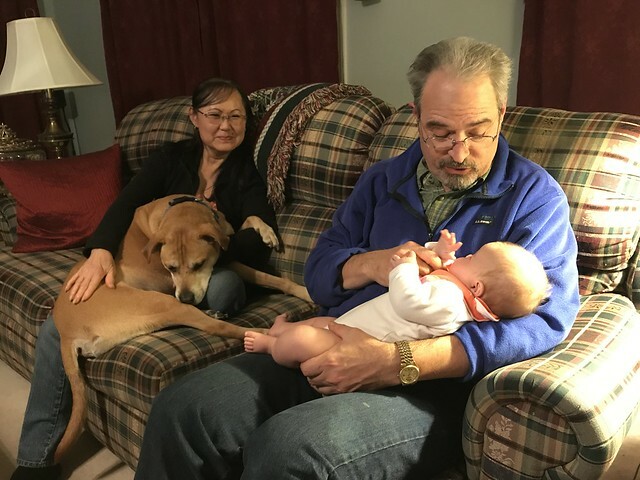 We’re already entering my favorite time of the year, and it really is all the more special and exciting now that we get to share the holidays with Penny. I’m so thankful for this little nugget! I know I pretty much complained every single second of my pregnancy, but hot damn, was it worth it. Anyway, with the traveling and craziness of the holiday, I probably won’t be checking back in on here until next week, so until then, happy, happy Thanksgiving!